Many activists and campaign groups use free blog sites such as Blogger.com or WordPress.com. However, these sites log IP addresses that reveal users’ identities, and can be required by court decisions to reveal this information. There have been cases where WordPress.com has handed over identities of bloggers and taken down websites on request of the authorities. Fortunately, anonymous blogging is possible (see also the chapter on using VPN, Tor and other ways to browse the internet anonymously). We define “secure” as not logging IP addresses or any details of those who are uploading to or viewing the site. WordPress is free software that you can install on your own server. If your server is configured correctly, and you istall the remove ip module for Apache [ttfa.net/removeip],you can ensure your blogs do not capture users’ personal data. Other website software such as Joomla or Drupal can also be set up in this way. Tachana.org offer secure privacy-concious website hosting to radical and grassroots groups internationally. ox4.org was set up by activists in the Oxford area who “like doing activism, supporting activism infrastructure, and techie stuff”. Their level of security is not as high as Tachanka. If you want to set up your own anonymous blogging service, a WordPress Network is a good way to save time and effort. This is a multi-user set-up which reduces the site administrators’ workload: when you update the code for the main site, all subsites are also updated. browser Add Ons to make browsing safer. Visiting a website on the internet leaves a trail of information, both on our own computer and on the server (the remote computer that hosts the website): who we are, what we are looking at, when we looked at it and what pages we visited before and after the site we are currently looking at. avoid leaving a trail of visited sites visible to authorities, advertisers and scammers. Using an internet cafe, library or public wifi avoids having a single IP address connected to you. However, these places may require ID (library card, passport or drivers licence) and/or have CCTV. There are no technical methods of security that are 100% reliable but there are a number of technical approaches to increased anonymity online. If you have techie friends, ask their advice; or join a mailing list in the further info chapter. Can the network you are using be linked to you? If you use a public wi-fi hotspot, or if you buy a pay-as-you-go 3G adapter with cash, and then credit it with top-up cards bought with cash (check for CCTV in the shop), there is less chance of leaving a trail of evidence that leads to you. Your browser and operating system store a lot of information about you; we recommend using Firefox on a GNU/Linux system to limit and manage this. Google logs your IP address and collects, stores and sells information about you and your web activity. There are better alternatives, such as: Duck Duck Go – duckduckgo.com & Ixquick – www.ixquick.com. We recommend using the Firefox browser; there are other good ones but Firefox (or some of its close relations) have great Add Ons as we will find out. Install Firefox and learn how to extend Firefox with add-ons to ensure safer browsing. Try using TOR or a VPN. how to encrypt your email. reserve the right to terminate your account as they see fit. Happily, there are alternatives. Independent email services are run by media activist collectives such as riseup.net or aktivix.org, who understand the need for privacy, anonymity and trust. Unlike corporate providers, they will not give your emails to the authorities without a warrant and a legal fight. If that happens, they will make it public if they can, so you (and thousands of other activists) will know about it. Independent email providers provide a web interface over an encrypted connection, and encrypt all messages sent between themselves; an email from an aktivix user to a riseup user is encrypted both as it’s composed and when it travels between aktivix and riseup. Alternatively, you can sign up for an account at riseup.net or autistic.org. You will need to fill in a short form letting them know why you want the email and they normally respond in 24 hours. Why use independent email lists? A dedicated mailing list can handle large email lists which you canâ€™t manage manually. People can subscribe to or unsubscribe from the list and the server handles security, privacy and archiving; members of the list donâ€™t automatically know the email addresses of all the other members. Lists provided by activist collectives are only as good as their weakest point: if just one address is “@googlemail.com”, you canâ€™t consider the list to be secure. If your list is small enough to manage manually, remember to use the BCC (blind carbon copy) field for their addresses rather than the To or CC fields. This keeps every recipient’s address private. open or closed: can anyone subscribe or do subscriptions need to be approved? public or private: is the list to be advertised to the world, or is it run on a need-to-know basis? announce or discussion: is the list for receiving information only or for discussing something? moderated or not: are posts to the list to be moderated? If you are concerned about privacy but not using a secure webmail service, are communicating with someone who is not, or want an addition of level of personal security, you can encrypt your email. Encryption is the process of taking a plain text message and converting into something that looks like gobbledygook, which can be decrypted and read by the intended recipient. The free software tool of choice for this is called GPG (GNU Privacy Guard). Many people find GPG tricky, so be prepared that it may take time – but it is worth it. 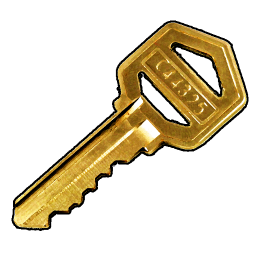 GPG encryption uses pairs of numbers called key pairs: a public key and a private one. You give your public key to anyone you wish to have encrypted communication with, but keep your private key absolutely secret, as it is used to decrypt email sent to you. It is so secret that it needs protecting with a passphrase, which is basically a very long password. By encrypting email using the recipients’ public keys, the sender can be assured that only the authorised recipients will be able to read it – privacy. If the email is signed by the sender’s GPG key, the recipient can be assured of the identity of the sender – authenticity. Try to set up an email account with aktivix.org, riseup.net or similar. Encourage your contacts to set up secure Email accounts. Why should I worry about Green & Low Power computing? If you are concerned about the environment you may ask yourself. ‘Where does my computer come from and where does it ends up?” The answers to these questions are unsettling. The issues of resource wars over Coltan [ttfa.net/coltan] and other heavy minerals and associated pollution caused by the production, energy use and disposal of computers [ttfa.net/waste] lead many of us to worry about our increasing use fo computers, mobile phones and other gadgets. At the same time no-one really wants to be struggling with an old computer that takes forever to do simple tasks. Turn off Wireless if you are not using it: Wireless is a very significant source of power use in computers and especially laptops. Why not get some Cat5 cable if you have a home network. Reduce screen brightness and other tips: Ideally reduce the brightness of your screen. You can also have the screen automatically switch off after a short period of inactivity. There are also other power management settings like spinning down hard drives. You can set the graphics chip to it’s lowest usable resolution. You might also want to disable 3d acceleratio. It’s also worth mentioning the powertop utility. It may be better environmentally to get a new low power set up than to recycle older computers. You can learn how to assess the embodied energy of different products by totalling up the impact of the manufacture, shipping and other factors. Reusing Old Computers: Power use is not the only consideration when thinking of low-impact computing. Saving older computers from landfill and prolonging their life is a most valid thing to do. An LTSP set up may be useful to reuse older hardware and if low power laptops can be sourced. LTSP stands for Linux Terminal Server project [ltsp.org]. The computers (often old and low power laptops) are run as ‘thin clients’ meaning the hard processing work is all done by one computer on the network. Laptops can be run without batteries from a shared power source. These factors save a lot of power. There are many factors involved in reusing old computers. The best way to learn is just by trying it out. See if there are any community groups in your area that can train you to do it. Here are some very quick tips. With a harddisk even if you erased every piece of data, it is sometimes possible with (very) specialized hardware to recover pieces of the data. If the data is very confidential and must be erased with the greatest care, you can use software to “overwrite” all pieces of data with random data. When this is done multiple times, this will make the data untraceable. Securely delete data under Ubuntu/Linux Unfortunately currently there is no graphical user interface available for Ubuntu to delete files secure. There are two command-line programs available though – shred & wipe. There are three basic solutions for hiding files – physical hiding, encryption and misdirection. Physical hiding would mean using a portable medium such a USB key and keeping it in a secure location, only to be brought out for editing. Encryption is another solution which does not require any physical movement of media. Encrypted data cannot be read directly and must go through some kind of unlocking in order to be useful. Misdirection, hiding in a place on a device (i.e. a hard disk), a filesystem, or within another file or container, where nobody would think to look..
Encrypting in Ubuntu: Ubuntu and offers the user the chance to encrypt the home directory and your entire drive during the installation process. The installation wizard will ask you to choose the partitioning method where we need to choose the â€˜Guided â€“ use entire disk and set up encrypted LVMâ€™ option to encrypt our entire hard disk. Virtual Memory: On all modern operating systems (e.g. Linux, Windows or OS X), there exists a feature called virtual memory. If you are not encrypting your entire hard drive you must also encrypt the pagefile or swap space to prevent people from reading the virtual memory. When encryption doesn’t work: If your computer/laptop has been bugged or compromised in some way and your keystrokes are being recorded, it doesn’t matter how good your cryptography is. Using a secure operating system which prevents keylogger installation (such as Linux), is a useful first step towards enhanced security. Try out some of the software and techniques listed here. Spread the word about how to securely delete files. In recent years Twitter has been an invaluable tool to human rights campaigners and a great source of activist news. But its centralised structure makes it subject to pressure from the authorities to release personal information of Twitter users. ttfa.net/twitsubpoena. Status.net is a microblog service similar to Twitter, but it’s decentralised: you can have an account on identi.ca or indy.im, or you can run your own Status.net installation. Sign up for an account on https://identi.ca or, if you know someone who uses https://indy.im, they can invite you to use that service – it is invitation only to avoid spam users. Both of these communities have a vibrant user-base; indy.im is more activist oriented, while identi.ca is wider with a lot of computer enthusiasts. install a Status.net app to read and update from a smartphone. How is Status.net useful for activists? The default preferences allow you to automatically repost your ‘dents’ from identi.ca to Twitter. You can change other settings under the Twitter tab which allow you to use Twitter but from within the more secure environment of a status.net account. You can follow up this process by cross posting to a Facebook account or page from Twitter. In this way you are able to make anonymous updates to corporate social networks that normally log your details. Sign up to identi.ca or try to get an invite for an indy.im account. Try to get cross posting to your Twitter account working. Try using brdcst.it to add blog / web updates into the mix. Mobile phones are effective tools for organising and increasingly for documenting protest and political activism. While this is very exciting, the technology shouldn’t be embraced blindly. The following information drawn from the Guardian Project website and Basic Internet Security book outlines some of the risks of mobile use and ways to overcome these threats. Physical security – A phone can be confiscated or stolen. If you are an activist, your address book and past SMS messages might be of special interest and/ or incriminating: it can be used just to gain knowledge of your network or for further social engineering. As a minimum safety measure you should always enable some kind of password protection on your phone (not just on your SIM card). Voice – Although the voice on a GSM (mobile phone) channel is encrypted, this encryption was hacked some time ago and is not considered safe any more. Furthermore, if you do not trust the network(s) you are using it has never been safe. Smartphones – Smartphones are quite new, and unfortunately most advanced (and even some basic) ways of securing that are available on normal computers are not available on smartphones. They pose additional risk since you are also using them for things like agendas, and personal note taking. There are a considerable number of malware apps on the market which are passing your personal data to other companies. Check if your app’s can be trusted. Prepaid sim cards – In some countries you are still able to use prepaid locally bought SIMcards without identifying yourself. Beware that your phone also has a unique identifier (known as the IMEI number) so switching SIM cards will will not guarantee to protect your privacy. Orbot brings the capabilities of Tor to Android. Tor uses Onion Routing to provide access to network services that may be blocked, censored or monitored, while also protecting the identity of the user requesting those resources. Orweb is a privacy enhanced web browser that supports proxies. When used with Orbot, Orweb protects against network analysis, blocks cookies, keeps no local browsing history, and disables Flash to keep you safe. Gibberbot is a full featured instant messaging application integrated with the â€œOff the Recordâ€ encrypted chat protocol. Our app is built on Googleâ€™s open-source Talk app and modified to support the Jabber XMPP protocol. A secure camera app that can obscure, encrypt or destroy pixels within an image. This project is in partnership with WITNESS.org, a human rights video advocacy and training organization. A Firefox for Android Add-on which exposes HTTP and SOCKS proxy settings through a new options menu. This enables the user to connect with Tor through Orbot, as well as any network proxy service. Often individuals working as advocates and organizers can be detained by authorities in order to to gain access to information, leaving the data they are carrying unprotected and easily compromised. K-9 Mail is an open-source app based on Androidâ€™s built-in Email app. The project is focused on making it easy to manage multiple accounts and large volumes of email, as well supporting OpenPGP encryption using Android Privacy Guard. CSipSimple is a free and open source SIP client for Android that provides end-to-end encryption using ZRTP. Itâ€™s compatibility with desktop SIP clients such as jitsi makes it an ideal solution for secure voice calls on android phones. TextSecure, developed by Whisper Systems, provides a robust encrypted text messaging solution, but it is only compatible with other TextSecure users. Perry Sutcliffe-Keenan, 22, of Latchford, Warrington, used his Facebook account in the early hours of 9 August 2011 to design a web page entitled The Warrington Riots. The court was told it caused a wave of panic in the town. When he woke up the following morning with a hangover, he removed the page and apologised, saying it had been a joke. His message was distributed to 400 Facebook contacts, but no rioting broke out as a result. If you are concerned about these implications of organising online and do not want to exclude people who are careful about their privacy, then there are alternatives you can use. Using these tools is also a great way to to support a more decentralised and non-corporate future of communication. Crabgrass is a Free Software web application run by an activist tech collective called RiseUp who will protect your security and anonymity as, like you, they are all activists working for radical grassroots change. The site that they provide at we.riseup.net uses a piece of software called â€œCrabgrassâ€, which is an activist equivalent of a social networking site. It allows you to create groups, work collaboratively on documents, be as private or as public as you want to be (and even have a different private and public profile), control who can and canâ€™t be in the group based on whether you actually know them or not, and communicate securely by sending each other private or group messages. You can also do live chat in a more secure way by using Crabgrass chat. When you are logged in to Crabgrass you can go to the Chat page (located on the main menu at the top). You can only chat with people that are members of groups that you have joined. The details of your Live chat provided by Yahoo, Windows, Skype and Gmail are regularly made available to law enforcement agencies. IRC is a tried and test way of live / instant message chatting. Users install an IRC client or connect via a webpage and it is possible to chat in an encrypted way. A lot of techies, free culture and software enthusiasts, media activists, hacker and crackers use this technology. XChat is a great IRC programme which comes with Ubuntu and is easy to install on Mac. MIRC is an equivalent for windows. There is an open standard for Internet chat called XMPP (formerly known as Jabber) this is a great decentralised alternative to tools like Skype and MSN messenger. It can also be extended to do all sorts of things like video chat, android phone chat, and most importantly for us, encrypted chat. Diaspora got the attention of many when it raised over $200,000 in contributions when the team offered to build an open and de-centralised facebook. In short the time for the ‘distributed social network’ had come and people were prepared to chip in to fund it. The key to the success may lie not in any particular bit of software but in the ability for lots of different software to be able to talk to each other using open standards. If you think about it why shouldn’t you be able to talk to friends and reshare their content across different networks. You can with email, why not with social networking. There are many alternatives to Diaspora, these include friendica, jappix and movin. They may opperate in different ways but the aim is roughly the same. The following is a quote from the friendica home page. The concept here is that that you can have news of the activities of different friends from different networks and websites all coming into one stream on friendica and interact with them from one place. Other Networking Tools are available which embrace distributed ways of social networking and organising. Lorea is a software distribution consisting of the Elgg open source social network engine and a handful of plugins. Find it at lorea.org. While there is no simple replacement for Facebook at the moment there are lots of promising projects happening all over. These areas are covered in other chapters but included here as they are so useful . Email is a great way of organising. You can be sure of who is sending email. It can be encrypted. You can set up your own email server or use one of a trusted group to be sure of its security. Using Email can bypass a lot of the security issues of organising online. Twitter sells information about its users to third parties, is caving into government censorship and has started to suspend accounts. You use open source alternatives like identi.ca. See the chapters on securing your email and and microblogging for more information. Get a secure Email address! Install and try out IRC. If you use Facebook check your settings and make it more secure. Sign up for Diaspora, Friendica or a similar task and try it out. Use aktivix.org for emails lists. The Internet has made it easy for everyone to publish news. Anyone can set up a blog or start twittering. This can make reaching your audience more challenging. Network Internet services which let you share your news often keep a record of who is visiting and updating your news site. This can cause security problems and legal problems as well. Blog sites like wordpress.com and blogger.com and social networking sites like Facebook keep a record of who uses their site. They do this by collecting the IP addresses. There are two easy solutions for posting your news anonymously. You can use Tor to post anonymously (see chapter “Organising Online”), or you can post to websites which do not log your IP. Indymedia and other secure open posting news sites: Indymedia volunteers coordinate the production and sharing of news content often ignored by mainstream media. The global IMC network is based on openness and broad participation: all software is Open Source, most lists are publicly archived, everybody can sign up to the wiki, log-on in chatrooms, or publish various newswire as long as it does not breach the guidelines. There are many different independent media collectives and individuals who publish news that is ignored by mainstream media. We can help spread the reach of this news by republishing it in anyway we can. Tagging your content and SEO: Making sure your content shows up in search engines like Google has become a science called Search Engine Optimisation (SEO). Search Engine Optimisation is made easier by using Content Management systems like Drupal, Joomla and WordPress. SEO works better if you tag well. Tagging your content makes also it much easier to find. If you use tags, your news can then be classified, better indexed by search engines, and via RSS feeds the content can be pulled into other websites (aggregation). RSS and aggregation: Syndication offers some potential for posting anonymously. RSS feeds are an agreed standard to allow different sites to pull in and republish content from other sites. You could publish your news anonymously on Indymedia – which uses tagging, and an RSS feed – to republish it onto your convenient (but insecure) wordpress.com site. Reposting or ReTweeting news: One of the reasons that blogging and Twitter really took off was that communities of bloggers or tweeters with similar interests would retransmit news from there peers by commenting on, linking too, writing supportive posts or simply just repeating their news. We shouldn’t be shy to do the same with news of activism with the tools we have. Blogs, imported RSS feeds, repeating Twitter or Status.net posts and cross posting them to social network sites are all a vital part of getting the word out there. Find your local open-publishing news collective or start one up. Corporate media sharing services like YouTube has vast potential audiences and are rich in features but there are a lot of videos on YouTube viewed by hardly anyone too. If you put in effor you could just as well build an audience in other ways. YouTube could suspend your account at any time. There are quite a few other corporate ‘Web 2.0’ services that offer a lot of functionality and provide a high degree of usability. However, none of the commercial services can be relied upon to offer anonymous posting and/or viewing. Many people who use Facebook are unhappy about what the licence you agree to allows Facebook to do with your images. If you use alternative image sharing website like Flickr to upload images you are able to choose your own licence. You may also want to try out a WordPress blog to upload and present your images. There are many themes specifically designed for uploading images (also know as Photo Blogging). Hosting images on your own blog gives you complete control over the licence and distribution of your images. Once your video is uploaded and subtitled, it is easy to insert your video into any WordPress page or post. For full details on how to do this visit ttfa.net/unisubs. Archive.org contains thousands of digital movies ranging from classic full-length films, to daily alternative news broadcasts. All these movies are available for download, often in very high resolution, and are freely licensed. You can embed the video into other websites, but you can not create an RSS podcast there. They support open formats like Ogg video. VisionOnTV.net is not a service where you can upload video. It does however help to promote Grass roots video reports and provides tips and training on how to make short videos using low cost tools. Get in touch with them if you have videos to share. Engagemedia.org specialise in video from the Asia-Pacific region but are open to international video as well. They fully support and promote subtitles and open video formats. Audio editing and encoding: Audacity[ttfa.net/audacity] & Ardour [ttfa.net/ardour] are audio editors that can import, edit and export audio in a number of different formats. Audacity is a great starting applicationand Ardour is aimed at multi-track recording. Video encoding: HandBrake [ttfa.net/handbrake] and Avidemux [ttfa.net/avidemux] are cross platform encoders which can convert DVDs and large videos files for archiving and distribution. Video editing: For free software the situation is much worse for video editing. On Linux our recommendation is Kdenlive [kdenlive.org] which the most stable and usable option. Stop telling us what to do already we get the idea!